We are beginning our transition from Spring to Summer! It's very exciting and I don't know about everyone else, but I want everything lemon! There's something about lemon that makes me so happy! One of my favorite parts of traveling to the Amalfi Coast was all the lemon trees - the smells were intoxicating. It was like my dream paradise. 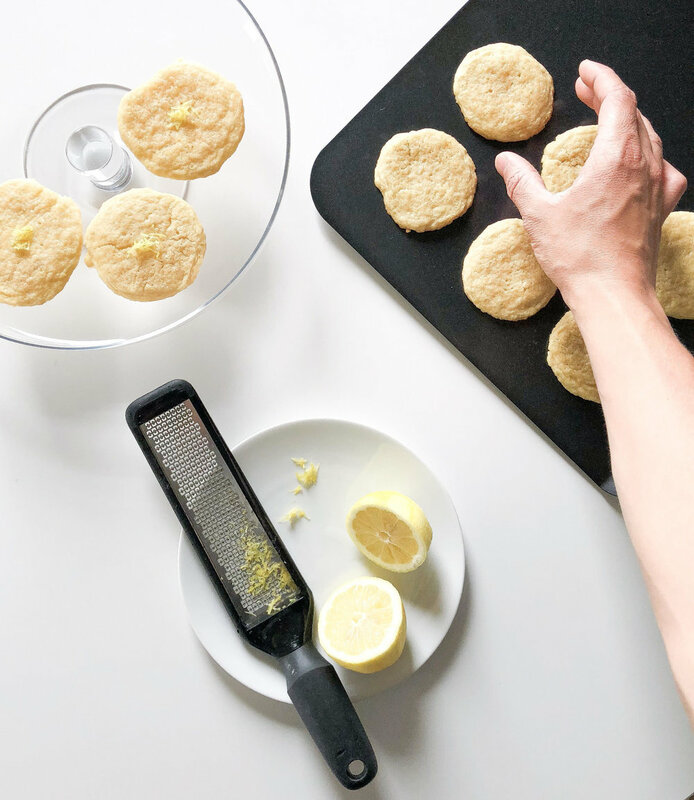 Knowing I'm obsessed with lemons as well as tasty baked goods I thought "hey what the heck lets make the best damn lemon cookies ever". So here we are! I hope you love this recipe. I'm not going to lie... my fiance and I devoured these in almost 2 days. No judgments here - enjoy! Cream together cold cubed butter and sugars for a few minutes. Slowly add in your eggs, vanilla, lemon juice, and zest until fully combined. Mix in your flour slowly along with other dry ingredients which include baking powder, baking soda, and salt. One fully combined you will drop spoonfuls onto a prepared baking sheet. Bake for 10 minutes - I recommend checking on the cookies around 8-9 minutes depending on your oven settings so the bottoms don't burn! They should be very light in color, golden on the bottom, and soft on top.